Project based ERP. You’re probably wondering to yourself, “what is this anyway?” We’ve all heard of Enterprise Resource Planning (ERP) systems, but now the industry added the words “project based.” It probably feels like they are just layering more words … and difficulty. So let me make some sense out of this for you. Traditionally, ERP’s have primarily been associated with companies manufacturing products: a key factor in ERP is the merging of IT, HR, Finance, and Marketing data with product operations and inventory management. 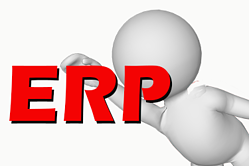 In services firms and consulting businesses like yours, however, some alterations must be made for the ERP system to show the data they need to achieve their goal – high profit and high revenue in a skills based environment – hence the addition of “project based” to our discussion about ERP systems. Your services business deals with a model where intellectual property is what you produce. You don’t have the evils of shelf life, production lines, or parts departments. Instead, your lives are geared toward a consistent evaluation of process, of skill, and of running the perfect project. Project based firms are exceedingly good at running projects. They can create a GANNT chart that’s a thing of beauty, they can set achievable deliverables, and they meet or exceed every deadline. But finding an ERP system that’s attuned especially to services and not manufacturing – now that’s tougher. It takes dedication, knowledge and the focused energy of the right team to get it all together. An ERP Consultant whose job is to master-mind all the necessary pieces to banish redundant, useless old processes and make your project’s business goals a realty. A Project Manager focused solely on gathering and maneuvering all the professionals to make achieving your project goals a success. Your IT, HR, Marketing/Sales, Finance as the true heroes to making things happen. So What Are You Going To Get Out Of It? • Lifecycle process across customers, projects and employees. • Details on projects that help optimize profitability and lower risks. • Manage and optimize an integrated portfolio of services – using data to learn how to do more of what “works” and eliminate what isn’t “working” (i.e. what’s not profitable). • Find the “right” customers and have the data to eliminate unprofitable customers. • Manage the future by understanding the past and using data to make fast, accurate course corrections. project management software to help eliminate project waste. Your dedicated employees joined with the support of organizations like Full Sail Partners, Inc. will make your project based firm as successful as possible by using your greatest resource – a specifically designed project based ERP system. And while it’s rad here in California to just “ride the waves,” when it comes to running your project based firm, using a project based ERP is your best choice. Dude. This is the sort of adversarial match that goes on too often every day. Buyers are overwhelmed by the sheer number of features when they watch a software demo. What is often forgotten, though, is that elephant in the room – the function of the software and how the product solves your business problems. But first, what’s the difference between features and functions? Here is usually how it goes. An organization feels business pains – growing pains, direction or market pains, etc. They decide that a new software will solve their problems and set about contacting vendors to see what their software will do. What is sometimes not communicated, though, is exactly what the problems are. Sometimes they keep their needs/wants to themselves preferring instead to see what the sales rep has to say, or sometimes they simply don’t know exactly what the problem is or how to solve it. The eager sales rep arrives and starts working with the company trying to understand their business issues, but there is often that aforementioned communication disconnect regarding the business issue that needs to be solved. So the sales rep, having confidence in the quality of their product to solve a myriad of issues, launches a demo campaign perfectly designed and choreographed to show every remarkable thing their software does. It works - the client is awestruck by all the impressive features. After looking at several vendors’ presentations and RFP responses, the organization gathers together, compares notes, and ultimately chooses the most appealing and financially comfortable solution. Notice how we didn’t even mention the features. Sure, it’s important to have cool things that your software business solution does which make every day work life easier or more interesting. Yes, it’s great to have hot keys, special gui (graphical user interface) on pages, neat buttons and clicks. But, in too many instances, those features are there mostly to sell but not to solve. They are frosting, gravy, or special sauce – yummy to see and eat, but without the solid nutrients are not satisfying the functional need. And what’s more, those “bling” features almost always end up costing far more than going with what may seem like an initially expensive business solution. The cliché, “you get what you pay for” is very true in the software industry. Going with a less expensive solution can sometimes cost more in the long run, because if you haven’t solved your business problem, you end up with voluminous customization costs or just more disparate systems. At some point in the future after choosing based solely on price, bells and whistles, you will likely need to cut your losses and just go with a vendor who will work with you to solve your business problems. It’s the partnering of organization and vendor which garners the real result. Engage me, communicate with me, add value to my business, solve my problems, create opportunity for me, educate me, inform me, but don’t try and sell me – it won’t work … Think about it – do you establish trust by profiling and targeting prospects, or by attempting to understand the needs of a potential client? This is much more than a semantical argument – it’s a philosophical shift in thinking, and a practical shift in acting. Stop selling and start serving. To put this in terms of your organization, stop buying and start receiving this service. So where are these wonderful consultants who help ME? They’re out there all right. Yes, they’re tougher to identify among all those throwing the title around on their business cards or in their lingo. Here are 4 tips to help you find the right business solution partner. Provide solutions that function for your firm instead of features that “could” work. Interested in learning more? Check out the below webinar about how best-in-class firms are operating better! And while you’re at it, get rid of those boxing gloves. You won’t need them now that you can win the match – because you know how to make the right choice between features vs. functionality in selecting your next business software solution. You might be tempted to think that the hardest part of using business performance metrics to guide your business is gathering and analyzing the metrics. But equally important — maybe even more so — is selecting the right metrics to begin with. Of course, there are some people who observe that there are no “bad metrics.” The argument goes that a metric itself is neither good nor bad; it could be just as likely that your data is wrong, or possibly that the metric is simply not a good fit for your needs or your organization. But even though the metric itself is neither good nor bad, there are other ways that business performance metrics can be failing you. 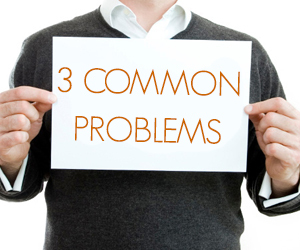 Let me describe three of the most common problems. 2. Unintended consequences. Another problem is if your metrics are somehow incentivizing your employees to do the wrong thing. For example, imagine your firm has put a recent focus on customer service. Unfortunately, last year you notified all employees that their pay raises will be based on employee utilization rates. The longer your employees spend keeping your clients happy (non-billable work), the lower their utilization rate. You are telling your employees one thing, but your actions are saying the complete opposite. Although it should go without saying, it’s absolutely critical to make sure that the math and logic that feed into your business performance metrics remain consistent, regardless of the timeframe or operating unit being analyzed. So in this example, a better metric would be to incentivize your employees on a combination of utilization rate and customer satisfaction — more complicated to gather, but ultimately closer to what you want to reward and encourage. What’s more, a great reason to plan your metrics with care! 3. Understanding Lagging vs. Leading Indicators. To be most effective, you need business performance metrics in as close to real-time as possible. Understanding the difference between lagging vs leading indicators can often be the defining factor for setting your firm on the correct course. Lagging indicators help your firm indentify historical trend information, while leading indicators provide predictive information that can allow you to make data-driven decisions to change future outcomes. QuickBooks, Excel and other office applications can help in collecting and analyzing data, but lacks the sophistication to provide real-time insight. A purpose built ERP, like Deltek Vision, provides front and back office functions insight into historical and predictive information. Whatever tools you use to gather your metrics, be sure to automate the process as much as possible to provide your team with the ability to make the best data-driven decisions. 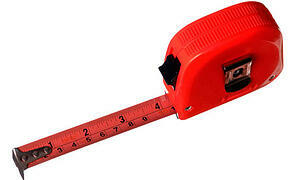 So how does one avoid the pitfalls of metric management? A great starting point is to understand your business and what your version of success looks like. For example, is it total revenue, net profits, other measures, or a weighted combination? At Full Sail Partners, we work with a large number of professional services firms — especially those that are project-based. As a result, we have a lot of insight and experience into the metrics that are most telling for them. To learn more, keep exploring our blogs, or contact us. In order to truly gain a holistic view of the organization, there are key financial ratios and indicators that project-based firms should focus upon at regular intervals. Some key project performance metrics need to be monitored on a real-time basis, or at least weekly, while others are more relevant on a monthly basis. Also, because firms must first win projects and engage in other activities that do not directly produce revenue, project-based firms should also regularly monitor firm-wide metrics. We should not focus on a single metric but rather, should adopt a more comprehensive view and monitor a handful of key metrics. For example, firms might reach the target for their Net Effective Multiplier (NEM) and yet have too few revenue producing projects, too much overhead, and poor utilization rates. At a minimum, firms should monitor their Net Effective Multiplier (NEM) on a monthly basis. The NEM is calculated by dividing net services revenue by direct labor, which is the cost of labor charged to projects. Net service revenue is total revenue less direct cost (i.e., Direct and Reimbursable Consultants and Expenses). Most firms would like to see a multiplier that is better than 3 times direct labor. In its recent AE Clarity Report for 2012, Deltek reported an average of 2.9 with top performing firms reporting 3.43. One way higher performing firms achieve a better NEM is by assigning appropriate resources to their projects. More experienced resources are typically very productive, but their higher labor cost drives the NEM downward. Thus, it is important to assign the resources with the right level of expertise to complete the task at hand. Some firms prefer to report and monitor the Realization Ratio in lieu of the NEM. The Realization Ratio is calculated by dividing net services revenue by direct labor at billing rates instead of cost rates. A target Realization Ratio would be greater than 1. On at least a weekly basis, if not real-time, firms should monitor Project Estimate-to-Complete (ETC) and Estimate-at-Completion (EAC) values. ETC amounts are how much additional money must be spent from tomorrow through the end of the project to complete the work. EAC amounts are how much total money you expect to have spent at the end of the project. This is calculated as the job-to-date costs plus the estimate-to-complete costs. ETC amounts can be calculated simply by maintaining schedules. With a timeline defined, ETC amounts are simply future scheduled amounts at either cost or billing rates. Best Practices Tips: To monitor ETC and EAC amounts in real-time, it’s a best practice to complete timesheets on a daily basis. Additionally, to establish a proper Project Work Breakdown Structure, subdivide a project into smaller more manageable components (e.g., phases and tasks) to maintain schedules and monitor these amounts. Ideally, EAC amounts will not exceed budgets but by monitoring these calculations weekly, firms are better able to keep projects on track and the work within scope. Firms should monitor their utilization and overhead rates on a monthly basis, at a minimum. The Utilization Rate is calculated by dividing the cost of labor charged to projects by the total labor cost of the firm. In the early referenced Deltek's 2012 AE Clarity Report, the average employee utilization rate was reported as 59.8%. Excluding vacation, holiday, and sick time it was 65.4%. Firms can improve employee utilization by setting realistic utilization targets, properly allocating resources, managing client expectations, and having employees monitor their performance against their target, real-time, while completing timesheets each day. The Overhead Rate is calculated by dividing total overhead (before distributions) by total direct labor expense. Typically, bonuses are excluded from overhead for this calculation. An interesting finding from Deltek’s AE Clarity Report was the average overhead rate for 2012 which was 161.6% with bonuses excluded and 175.7% with bonuses. Rates were not significantly different for higher performing firms suggesting they had achieved higher project profitability with better NEMs and better utilization rates. The bottom line is that there is no magic bullet but rather a handful of key project performance metrics firms should monitor at regular intervals to maintain profitability. Does your firm have a global view of your firm metrics? 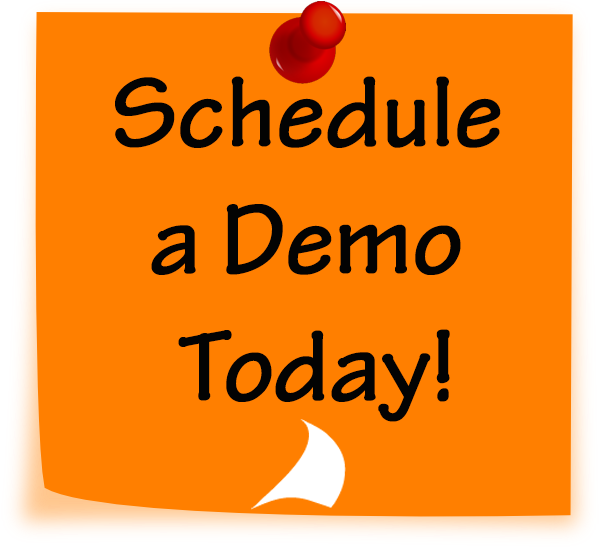 Schedule a demo today to see how Deltek Vision is an ERP specifically designed to provide access to these key metrics and many more. In short, the Work Breakdown Structure defines how you estimate, manage, and bill the project — and as a result, creating one should be priority one for every project. 1. Account for 100% (no more, no less). One of the most important principles is that the WBS must include 100% of the work as defined by the project scope. It must also capture all internal, external, and interim deliverables, including project management, among the work to be completed. The rule applies at all levels within the hierarchy: the sum of the work at the most detailed level must equal 100% of the work represented by the combined total of the categories at the highest level. Another aspect of the rule is that the WBS should not include any work that is outside the actual scope of the project. 2. Be mutually exclusive. There should be no overlap between two elements of a WBS in scope definition. Such an overlap could not only result in duplicated work or misunderstanding about responsibility and/or authority, but could also cause confusion in project cost accounting. One technique for avoiding this problem is to develop a WBS dictionary to clarify the differences between WBS elements and describe each in terms of milestones, deliverables, activities, scope, and other factors. 3. Focus on outcomes, not actions. The best way to stick to the 100% rule is to define Work Breakdown Structure elements in terms of outcomes, as opposed to actions. This strategy ensures that the WBS is not overly prescriptive in terms of method, and therefore allows for more flexibility and creative thinking on the part of team members. In addition, a WBS that subdivides work by project phases (e.g. preliminary design phase, critical design phase, etc.) must clearly separate the phases by deliverables that define the entry and exit criteria (e.g. an approved preliminary or critical design review). 4. Be detailed, but not too detailed. As useful as it is to divide work into smaller and more manageable elements, you also need to know when to stop. There are several ‘rules of thumb’ for determining appropriate activities or group of activities needed to produce a specific deliverable as defined by the WBS. The first is the “80 hour rule,” which cautions that no one activity or group of activities to produce a single deliverable should require more than 80 hours of effort. A second guideline is that no single activity or series of activities should take longer to complete than a reporting period. So, if your project team reports on its progress monthly, then no single activity or series of activities should be longer than one month long. 5. Keep it simple. Creating three levels in your WBS hierarchy (e.g., Project, Phase and Task) should be enough. Avoid identifying labor or activity codes as WBS elements, even if you use them to describe labor detail on billing invoices or backup reports. In addition, it’s not necessary to make every phase balanced; just because one phase has a task doesn’t mean that all should. When finished, a well-organized WBS resembles a flowchart in which every element is logically connected to another. The primary requirement or objective appears at the top, with increasingly specific elements appearing beneath it. The elements at the bottom of the diagram represent tasks and activities small enough to be easily understood and carried out. 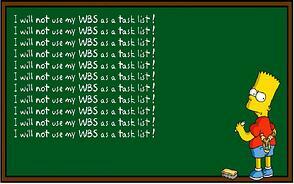 An effective WBS avoids redundancy, but at the same time, leaves out no critical elements. The bottom line is that a Work Breakdown Structure divides your project into distinct, manageable work elements. A WBS is useful to various groups within a company, including marketing, business development, accounting, and project management. A well-planned WBS is integral to successful project proposals, planning, scheduling, budgeting, and reporting. Ready to learn more? Discover how an ERP system can benefit your firm by downloading our whitepaper. If your business designs and produces projects for external clients, you’re in what is referred to as a project-based firm. This category can include architecture, engineering and construction companies, consulting firms, advertising agencies and many others. As different as these industries may be from one another, they share a core challenge of completing projects in ways that meet the client’s goals within existing constraints, while at the same time, delivering the desired profitability to their organizations. There are many tools and methodologies that can help project managers at project-based firms track how successfully they deliver projects. But before managers can benefit from such tools and methodologies, it’s essential for them to understand four basic project management concepts, and how they interrelate. 1. Resources – The most critical resources that your organization manages are its human capital, which, depending on your needs and preferences, you might track as individuals, teams or both. Resources can also include equipment, services, supplies, and funds. A central goal in managing resources is ensuring the suitability of the specific resources, as well as availability, internal costs, etc. 2. Time – Managing time involves organizing and tracking tasks, activities, and schedules. It’s critical in helping to establish a workable plan and schedule, monitoring and reporting on progress, and ultimately, ensuring the profitability of the project. Key aspects include defining and sequencing activities, estimating needed resources and time requirements, and developing and managing to a defined schedule. 3. Cost – Effective cost management begins before the project even gets underway, by planning a budget with as much accuracy and specificity as possible. Cost management also requires developing contingencies for costs that are anticipated, but cannot yet be quantified with certainty. As the project moves forward, the manager tracks estimated vs. actual costs and the overall profitability of the project. 4. 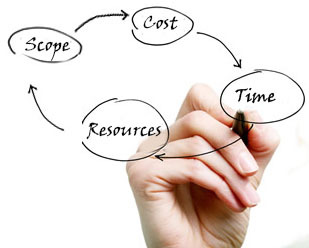 Scope – Managing a project’s scope begins with assessing its size, complexity, goals, and requirements. By having a clear understanding of the scope, the project manager is better able to create a viable estimate and schedule, assemble the appropriate resources, and ensure that the team meets its deadlines. Without a good handle on scope, the project can experience scope creep, which can lead to missed deadlines, cost overruns, and decreased profitability. It’s important to appreciate how each of these project management concepts affects, and is affected by, the others. The skillful project manager addresses them holistically, and makes adjustments in each as the project moves forward. To manage risk and ensure a quality project, managers need to not only understand these concepts, but also have in place the right tools and processes to control them — along with great organization and communication skills. Of course, it’s the rare project that goes exactly according to plan… which is why understanding these four project management concepts is so essential. When variances or setbacks arise in any one area, the effective project manager has mechanisms in place to recognize problems in time to make adjustments, and yet still meet the project goals for both the client and the firm. Checkout more Project Management related articles.